Whether you are buying a home, investment property, vacant land or commercial property, anyone with knowledge of the real estate industry will attest to the fact that title insurance may be the most important purchase associated with your transaction. Protecting yourself from issues related to prior owners that could negatively impact your ownership rights is crucial. Your title insurance policy is the best protection against potential title defects. At Strock & Cohen, Zipper Law Group, P.A., our attorneys combined have over 60 years of title related legal experience. Every transaction is overseen by an experienced attorney from the moment the file is opened. 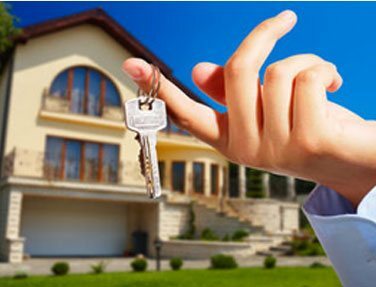 Our staff of experienced Closing Coordinators and Legal Assistants will coordinate your title or closing transaction from beginning to end. In expediting your transaction, our goal is to provide excellent communication and high quality work. Strock & Cohen, Zipper Law Group, P.A. provides title insurance for the buyer to protect the buyer from hidden title defects. Strock & Cohen, Zipper Law Group, P.A. coordinates the closing with buyers, sellers, realtors, mortgage brokers & lenders. Strock & Cohen, Zipper Law Group, P.A. holds escrow deposits. The realtors, mortgage brokers, lenders, buyers and sellers that we work with on a regular basis know that an experienced and cooperative real estate attorney is an integral part of their team. At Strock & Cohen, Zipper Law Group, P.A., we know that the most important aspect of what we do is to be a valued teammate. Whether you are a seasoned investor, first time buyer, a seller who needs advice, or a realtor who wants to provide the best to their client, we are here to assist you in understanding everything associated with your real estate transaction. Feel free to contact one of our attorneys who only practice real estate law, escrow and title insurance. They will be happy to help.